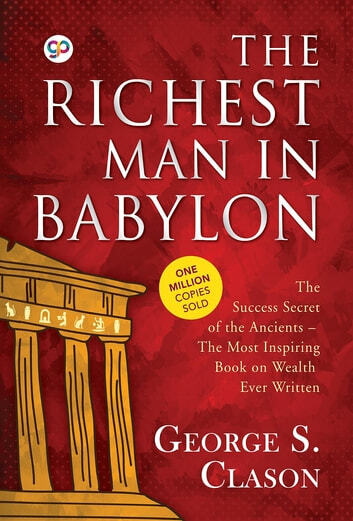 The Richest Man in Babylon is considered as the greatest of all inspirational works on the subject of thrift, financial planning, and personal wealth. Revealed inside are the secrets to acquiring money, keeping money, and making money earn more money. 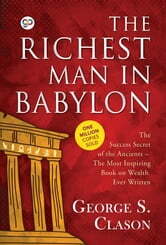 Providing financial wisdom through parables, 'The Richest Man in Babylon' was originally a set of pamphlets, written by the author and distributed by banks and insurance companies. These pamphlets were later bundled together, giving birth to a book. In this new rendering by Charles Conrad, the classic tale is retold in clear, simple language for today's readers. These fascinating and informative stories set you on a sure path to prosperity and its accompanying joys. George Samuel Clason was born in Louisiana, Missouri, on November 7, 1874. He attended the University of Nebraska and served in the United States Army during the Spanish-American War. Beginning a long career in publishing, he founded the Clason Map Company of Denver, Colorado, and published the first road atlas of the United States and Canada. In 1926, he issued the first of a famous series of pamphlets on thrift and financial success, using parables set in ancient Babylon to make each of his points. These were distributed in large quantities by banks and insurance companies and became familiar to millions, the most famous being 'The Richest Man in Babylon', the parable from which the present volume takes its title. These 'Babylonian parables' have become a modern inspirational classic. THE ANTHONY BORGIA COLLECTIVE WORKS! I have learned a lot about managing my personal finances by reading this book compared to all the years sitting in school rooms or by listening to my own parents. I am glad I read this. And the next step would be to apply what I have learned. I hope people with ambition can read this book and put it to practice.